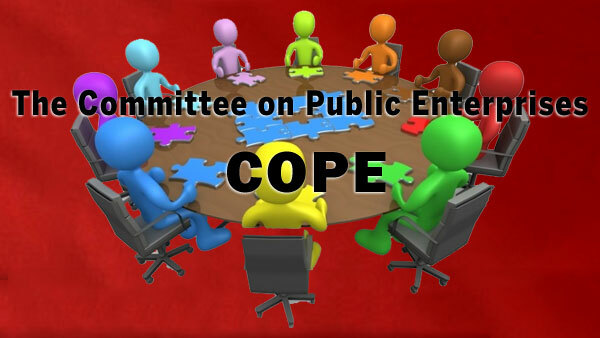 The Committee on Public Enterprises (COPE) yesterday unanimously accepting the Auditor General’s report, decided to fast track the investigations on the Central Bank (CB) Treasury Bonds controversy based on it. COPE member and JVP MP Dr. Nalinda Jayatissa speaking to the Daily News yesterday said the Auditor General handed over copies of a concise report to all members when the COPE met at the Parliamentary Complex for a special meeting. However, some COPE members were also of the view that the report submitted by the Auditor General to the Committee should also be forwarded to the Monetary Board. The Auditor General had also submitted a detailed report on the CB Treasury Bonds issuance to Speaker Karu Jayasuriya yesterday morning. sales on February 27, 2015 and March 29, 2016. The COPE investigations are revolving mainly on these two incidents” he said. He said the COPE would make a request to have the access to the full report submitted to the Speaker. He said the Committee decided to meet again on July 5 to discuss the content of the report and to summon the Central Bank officials on July 7 to inquire into the Treasury Bonds issue. He said 16 out of the 26 members of the Committee were present yesterday, adding that UNP, UPFA JVP, Joint Opposition and TNA were represented at the meeting that extended for about two hours. He said once completed, the COPE report would be tabled in Parliament. When contacted by the Daily News, UNP MP Harshana Rajakaruna too confirmed that the report was approved by the COPE, adding that further investigations would be conducted based on it. The Auditor General’s report to COPE has revealed that there were certain financial irregularities in the case of the Central Bank’s Treasury bond issue. Meanwhile, COPE member and UPFA MP Mahinda Ananda Aluthgamage speaking to the Daily News that the Committee has decided to summon former governor Arjuna Mahendran, officials of the Central Bank and all those involved in the bond issue from July 5-7 for further investigation. The COPE committee met yesterday at the Parliamentary Complex to investigate into malpractices which might have occurred in the issuing of Treasury Bonds last year.